Submitted by rjshae on 2018-04-15 09:14. 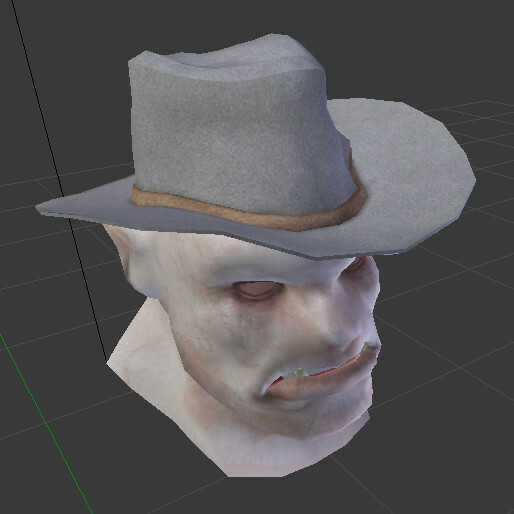 This tutorial demonstrates how to create a helm or hat model for a player race in Neverwinter Nights 2 (NWN2) using the Blender 3D tool and Arbos' nwn2mdk project in the Windows OS. It uses free software packages available on the internet for all steps. 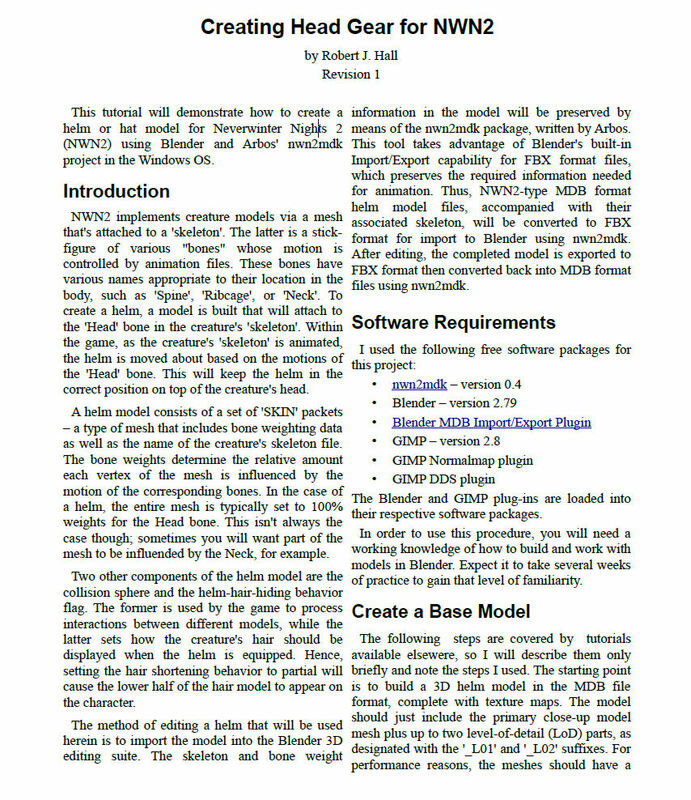 In order to use this procedure, you will need a working knowledge of how to build and work with models in Blender. My thanks go to FreshLook, both for the nwn2mdk software and for helping me resolve several issues I encountered. If you have any questions or concerns, please note them below. I hope you find this tutorial useful and will give it a try. r3. Added information about fitting to shortened hair, configuring tint maps for a helm, and additional troubleshooting tips. OOPS! This slipped my notice! Love it, when somebody explains a new tool step by step. Thanks for writing it up, putting in all your experiences regarding "pay attention to this and that so it does work in the end" and thanks to Arbos for developing this tool! 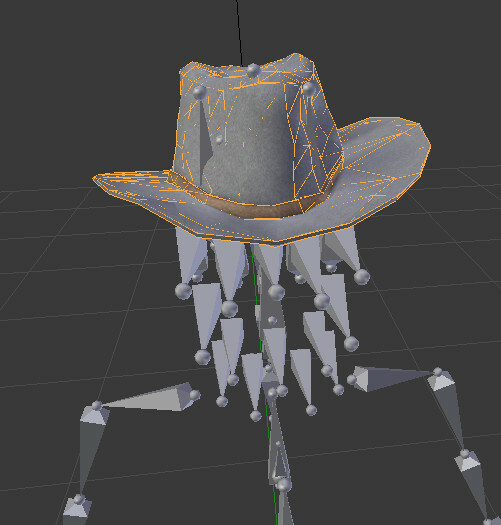 Rigging NWN2 in Gmax was possible but a bit strange, since one could not see the bones. So here is another argument to do a switch to Blender. Like the PDF layout. Nice job! This is a good tutorial and I don't see too many tutorials on specific things like this. Thanks for creating this and uploading it!